FRASER VALLEY SUMMIT GREATER THINGS! 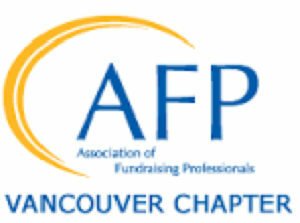 AFP Vancouver is pleased to present a one day summit with a variety of professional development workshops and renowned keynote speaker Penelope Burk. Come for enriching skill development and leave connected to leaders from across the Fraser Valley. Ray Marshall presented It All Comes Down to Asking! Ray Marshall was invited to present two learning sessions. Follow these links to hear introductions to his presentations. Iterative Negotiation. What A Hostage Negotiation technique can do to secure a six figure gift. Iterative Negotiation -provides a highly effective framework to assist organizations to secure 6 figure gifts (and contracts), often even before the proposal is submitted. The core concept comes from the Harvard Law School Negotiation project.